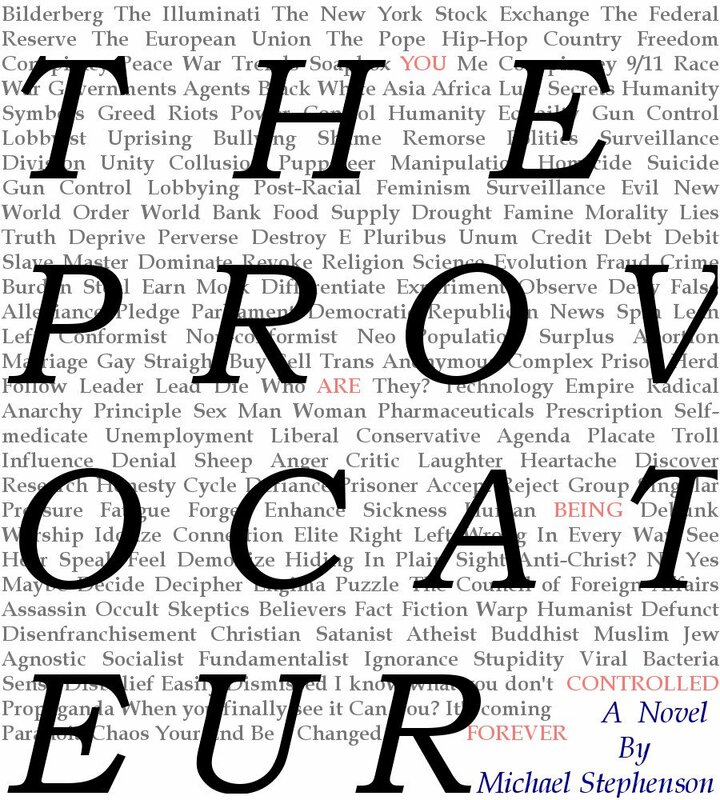 This book is profoundly troublesome, dark, and provocative in the extreme because it raises disturbing questions about the manipulation of the public will, and even more importantly the manipulation of our private beliefs about, well, pretty much everything. Although exaggerated--I give human beings more credit--and somewhat simplistic, it 's a horror story of hopelessness that could easily be remedied if we were not so easily and maybe even willfully blinded. "What if everything you were brought up to think about society, all layers of cultural meaning, freedom, etc., are wrong? What if someone, or a small group of wealthy and powerful social engineers, specifically, powerful institutions of our contemporary global economy, were subverting your beliefs, ideas and values with behavioral tricks to use them against you? Social control has and always will be a problem for each and every form of government since government is simply a mechanism with which to control a culture or society, and in large measure, its geared to the needs of the ruling elites of our social institutions, yet we seldom question where our thoughts, ideas, beliefs, even cultural trends originate...in other words, what/whom inspires, or more succinctly, controls our minds. Anyway, I gave it five stars, not so much for the plot, characterization or writing style (which are very good as well) but for the very thought provoking experience as I read this book.